Anders Carlson came to Fonus for the interim assignment. He was called “the temp”, a word that everyone understood. Nine months later, both company and employees understood that “a temp” really could contribute and add value. - My goal is to add long-term value for both the clients and the staff. I want to achieve results that really make a difference for the customer, says Anders. An Interim Manager need to be an up and running Executive and operational extremely fast, to be a tool for the client to reach specific goals. It is important that assignments, delivery and targets are clear and that they are continuously tuned between the parties, in this case Anders, the CEO of Fonus, and Nordic Interim. For an Interim Manager to be able to contribute quickly, a proper zero-position analysis must be done at once. In addition to reading up, Anders spoke with as many employees as possible to create an overall image. Everyone were asked the same questions, e.g., Where are the improvement areas? What is important to you? What works? Who makes things happen? What symptoms are visible? And what are the causes? The focus was to clarify the root causes of the symptoms identified, as well as test different hypotheses. Delivery must be planned initially so that I do not leave any loose ends behind. The more I learned, the picture became more and more clear regarding what I could possibly accomplish in my limited time. True engagement for the staff At first, some employees were doubtful and maybe even skeptical. It was important to show Anders’ genuine long-term commitment, having in mind the common good. I was clear about me being part of the improvement process and to leave something behind that was better than when I arrived; Customer cultivation, sales and profitability, and to make Fonus an even better employer. With approximately 25,000 funerals per year, all deliveries in the process must work perfectly. The employees really want to create a dignified personal farewell in a delicate situation. Fonus consists of amazing people, dedicated, doing a great job in an environment where nothing must go wrong. During a brainstorming, we sought inspiration from other industries to develop our business and to motivate the staff in being part of the company going forward. It was concluded that the potential for improvement was to develop the customer process, offering the customers improved availability, better conditions for new employees, improved collaboration between different offices, a change in the emergency services, and an improved logistics process. Major efficiency improvements with the help of projects run by the employee With the CEO’s approval, support and prioritization, Anders started three different project groups led by non-executive employees. They got a lot of responsibility and external support for the projects. Everyone had to show new and improved skills and several of the project participants impressed greatly with their commitment, drive, and knowledge. When challenged to think in a new direction and gained a mandate to drive progress, energy and creative ideas were released. The teams worked efficiently and quickly arrived at new and achievable solutions. They even dared to challenge old truths. The objectives of the projects were to improve both customer and staff satisfaction and to increase profitability by SEK 25 million. Addressed areas were coordination of transport and car pools, office collaboration, new on-duty systems and radically increased accessibility for the customers as well as a web support solution for the customers. A change agent must be able to deliver good work every day It is more challenging to be an Interim Manager than an employee. The mission is to be a change agent with a clear plan and get results in a short period of time. Lead times are shorter. Need deliver every day and can never become part of the daily routine of things. To dare also requires experience. Already at the beginning of the career, Anders prioritized to be a good leader. Experience includes Group Management in state monopoly Wine & Spirits, as Head of Unilever, and as CEO of private equity-owned companies. He has also been a consultant, coached new CEOs and have been a mentor for almost 20 people. Like most Interim Mangers, Anders is a senior leader with substantial experience, really overclassified if it had been a permanent service. Which is needed for success. 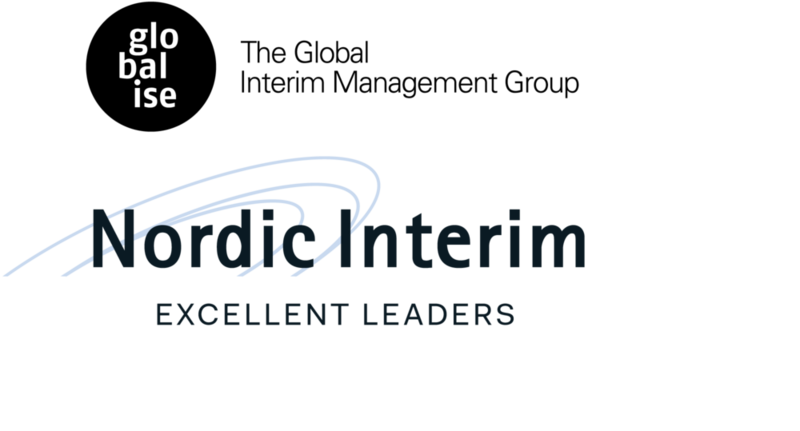 Appropriate qualities for an Interim Manager are: structured and focused on results and problem-solving. The success criterion is to be a relationship-creating, committed leader who creates expectations and get people onboard. I reached out to everyone and was approachable.